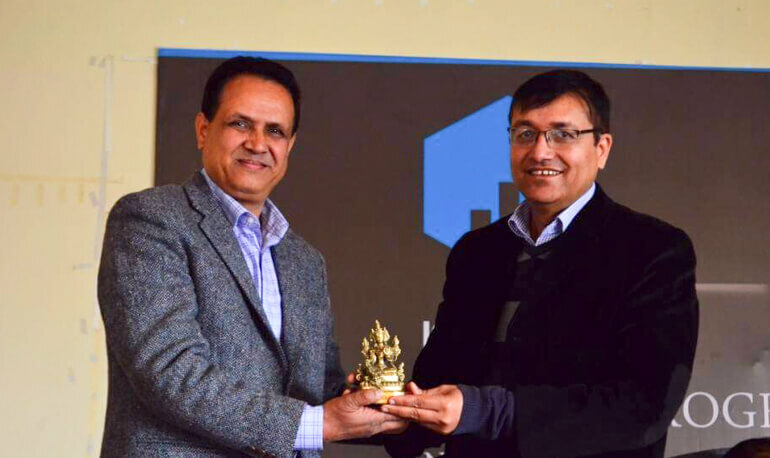 The official launch of Kuber Wizz was held on 17th January inside Kathmandu College of Management premise. The event started off with a speech from the deputy manager of NEPSE, Mr. Niranjan Phunyal. The speech was about the importance of speculation in the stock market which ended with a powerful quote, "speculation is the beauty of secondary market". Kuber Wizz is a stock investment program that has been formulated by KCM, and is the first of its kind in the country. It focuses on the practicality and the intellectual knowledge of the students. The program especially revolves around a simulation training which will allow the students to get practical experience with stock trading and investment. The program therefore helps add value to the current BBA program by ensuring that students get ample world experience on stock market trading and functioning. The CEO of Civil Capital, Mr. Bhisma Chalise was invited as the second speaker of the program. He focused on the current situation of the stock market where the demand and supply play a significant role.